How Much Virgin Indian Remy Hair do I need for my weave. Hair amounts vary depending on what style of hair extensions you are getting done or how much hair you already have. For longer styles, we recommend using two packs to ensure you have enough hair. You can always reuse the extra hair at another time. Average Amount: This is just an average, some people need more some need less. Bonded Hair or Tracks: one pack is enough for four to five tracks up to 18" hair length. Fusion or Micro-Linking: please consult your stylist. 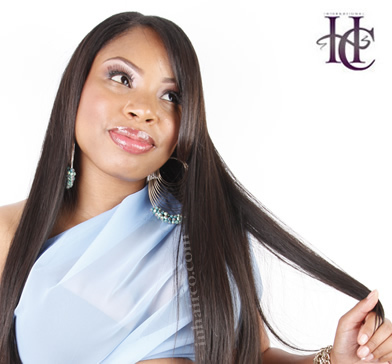 International Hair Company always delivers the most beautiful Indian Remy hair imaginable. We also offer fast and reliable shipping with FedEx.